Move over, Tesla! Chinese startup Byton is taking onTesla with a concept electric car following in Faraday future’s tracks. Byton unveiled the most futuristic electric SUV, in what the company refers to as “an electric intelligent SUV.” Starting at just $45,000, its all-electric SUV gets a range up to 323 miles per charge. Its first electric SUV unveiled on Sunday at CES 2018 in Las Vegas, is planned to hit the Chinese market next year before arriving to the US and Europe in 2020. Byton is the most advanced electric SUV on the market. 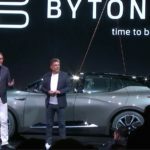 Founded in 2016, Future Mobility Corporation (later changed its name to Byton) is a startup backed by created to reshape the future of mobility in the 21st century. They plan to release an autonomous vehicle by 2020. 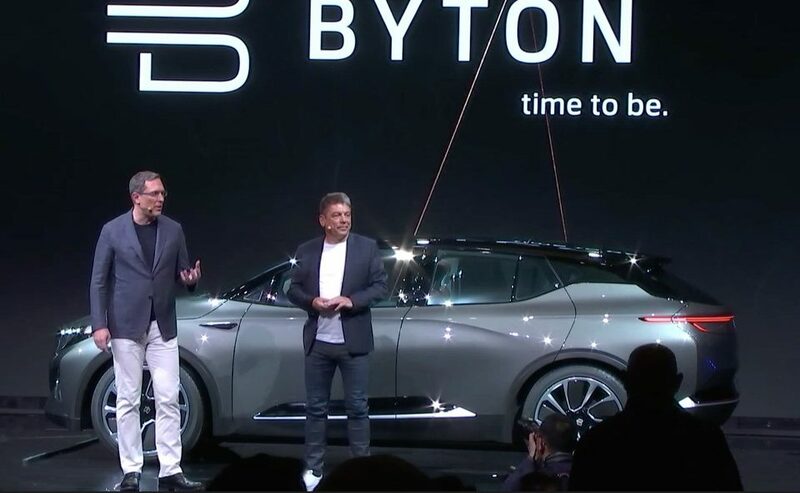 Byton was founded in 2016 by executives from Tesla, BMW, and Nissan. Byton has several Chinese investors, including Tencent Holdings, which is now also a major investor in Tesla.. To date, the company has raised over $200 million in total funding. 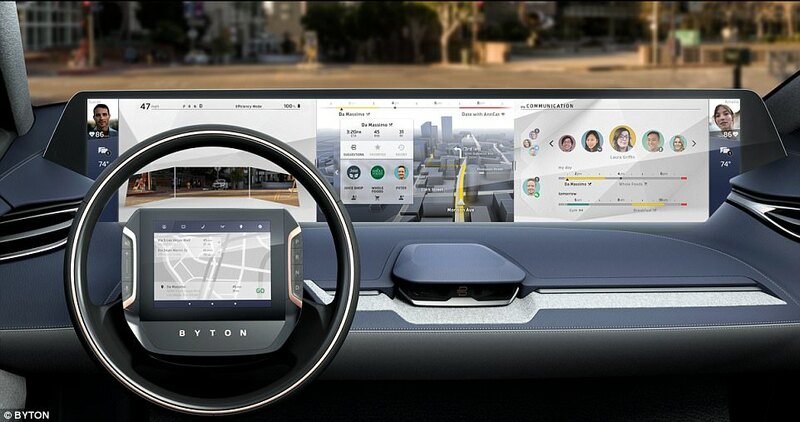 For ordinary driver, the first you will notice about Byton is its 49-inch touchscreen, which spans the whole dashboard of the 76-inch-wide car. You can see images from both side mirrors on the screen while you drive. The SUV also comes pre-loaded with a tablet screen on the driving wheel (picture shown below). It is designed with for voice control support using Amazon Alexa. It also enables to control the car with hand gestures. The new Byton concept car is designed with self-driving in mind. It comes fully loaded with gadgets of many concept cars with promising controls with voice, touch or gesture, and biometric technology such as facial recognition cameras. It also includes the first rotating front seats on a production vehicle, intended to turn the car into a “digital lounge” said Breitfeld. Although the SUV will have only Level 3 autonomy when it hits the streets at the end of next year, it’s designed to be upgraded to Level 4 (nearly fully autonomous) in 2020. Byton plans to announce an autonomous technology partner later this month. Breitfeld enthused over the vehicle’s “coast to coast” display, actually a 1.25-meter screen spanning the entire dashboard. Its “multidimensional” user interface can be controlled by a handful of gestures, or by simply speaking, courtesy of voice recognition technology supplied by Amazon’s Alexa. 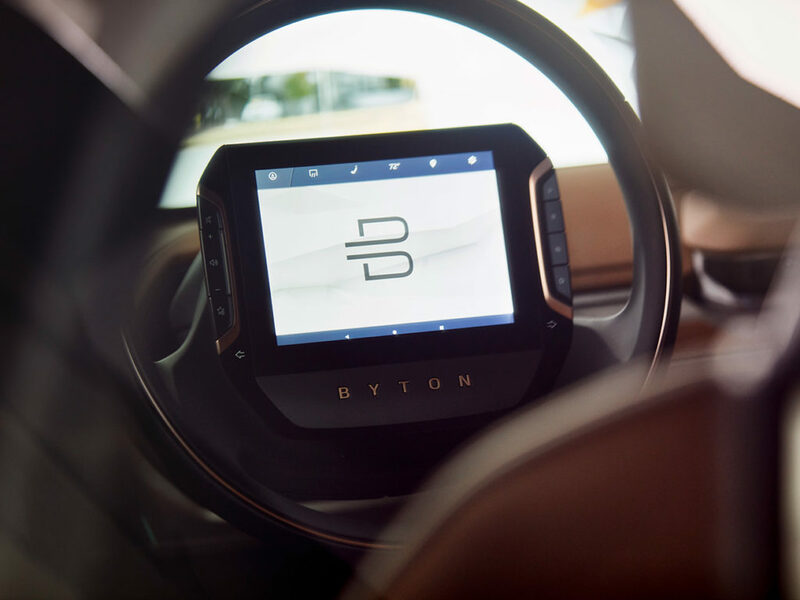 “We’re building a next generation smart device to enrich your experience as a driver, and give you time to enjoy whatever you enjoy doing,” said Henrik Wenders, Byton’s VP of marketing. “We’re not redefining cars, we’re redefining life.” Byton’s target is at Tesla’s Model 3, with a base US $45,000 version offering 250 miles of range compared to the 220 miles, and a high performance version with two motors topping out at 323 miles.